VJ Books Presents Author Larry Bond! 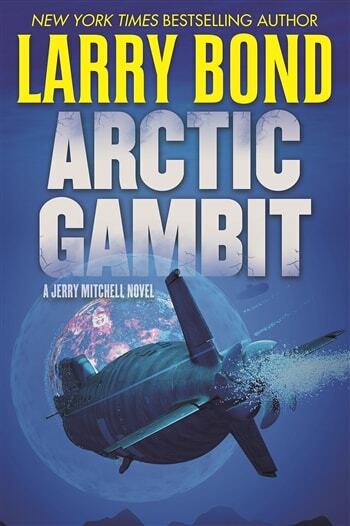 Larry Bond (born 1952) is an accomplished author with numerous novels to his credit and is also a game designer. Graduating from St. Thomas College, St. Paul, Minnesota in 1973 with a degree in Quantitative Methods, Larry worked first as a computer programmer for two years before being selected for Officer Candidate School in Newport, Rhode Island. He was sworn into the Navy in 1975 and graduated from OCS the following year. Larry was in the Navy for six years, serving four on a destroyer and two on shore duty in the Washington DC area. He served in the reserves for two years with the Naval Reserve Intelligence Program. After leaving the Navy he worked as a naval analyst for defense consulting firms in the Washington, DC area. Larry's writing career started by collaborating with Tom Clancy on Red Storm Rising, a runaway New York Times bestseller that has was one of the best-selling books of the 1980s. It depicted a hypothetical conflict between NATO and the Warsaw Pact, drawing heavily on expert analysis of what such a conflict would be like. It has been used as a text at the Naval War College and similar institutions. 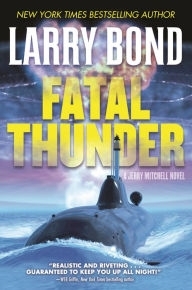 Since then, Larry's books have depicted military and political crises, emphasizing accuracy and fast-paced action. After co-authoring Red Storm Rising with Tom Clancy, he has written numerous novels under his own name. He also wrote a novella titled Lashup, which appeared in Steven Coonts' anthology Combat, as well as several published short stories. Bond co-designed the Admiralty Trilogy series games, which include Harpoon, Command at Sea, and Fear God & Dreadnought. All three have won industry awards. Larry's Harpoon gaming system was first published in 1980. Designed as a general-purpose air, surface, and submarine naval simulation, it combines playability with a wealth of information on modern naval weapons systems. Designed for the entry-level player, it has found acceptance in both the commercial market and the professional naval community. It is used at the Naval Academy, several ROTC installations, and on several surface ships as a training aid. In June of 2004, because of his many award-winning game designs, as well as over 20 years' experience in gaming and writing, Larry was inducted into the International Hall of Fame by the Game Manufacturers Association. Signed Hardcover Book. May 2016 NY: Tom Doherty Associates First edition, first printing, mint, new/unread in a flawless dust jacket, signed by both authors. Each dust jacket is protected in an acid-free archival quality acetate cover. Author Signed Hardcover Book. May 2018 NY: Forge First edition, first printing, mint, new/unread in a flawless dust jacket, signed by author. Each dust jacket is protected in an acid-free archival quality acetate cover. First Edition Hardcover Book 1996 NY: Warner First edition, first printing, fine in a fine dust jacket. Each dust jacket is protected in an acid-free archival quality acetate cover. Author Signed Hardcover Book 1996 NY: Warner First edition, first printing, fine in a fine dust jacket, signed by the author. Each dust jacket is protected in an acid-free archival quality acetate cover. Author Signed Hardcover Book 1996 NY: Warner First edition, first printing, near-fine (toned pages) in a fine dust jacket, signed by the author. Each dust jacket is protected in an acid-free archival quality acetate cover. Author Signed UK Hardcover Book. 1998 LON: Feature First UK edition, first printing, mint, new/unread in a flawless dust jacket, signed by author. Each dust jacket is protected in an acid-free archival quality acetate cover. Author Signed Hardcover Book May 2015 NY: Tom Doherty First edition, first printing, mint, new/unread in a flawless dust jacket, signed by the author. Each dust jacket is protected in an acid-free archival quality acetate cover. Author Signed Hardcover Book May 2013 NY: Forge First edition, first printing, mint, new/unread in a flawless dust jacket, signed by the author. Each dust jacket is protected in an acid-free archival quality acetate cover. Author Signed Hardcover Book 2008 NY: Forge Books. First edition, first printing, fine in a fine dust jacket, signed by the author, remainder marked. Each dust jacket is protected in an acid-free archival quality acetate cover. Author Signed Hardcover Book 2008 NY: Forge Books. First edition, first printing, mint, new/unread in a flawless dust jacket, signed by the author. Each dust jacket is protected in an acid-free archival quality acetate cover.